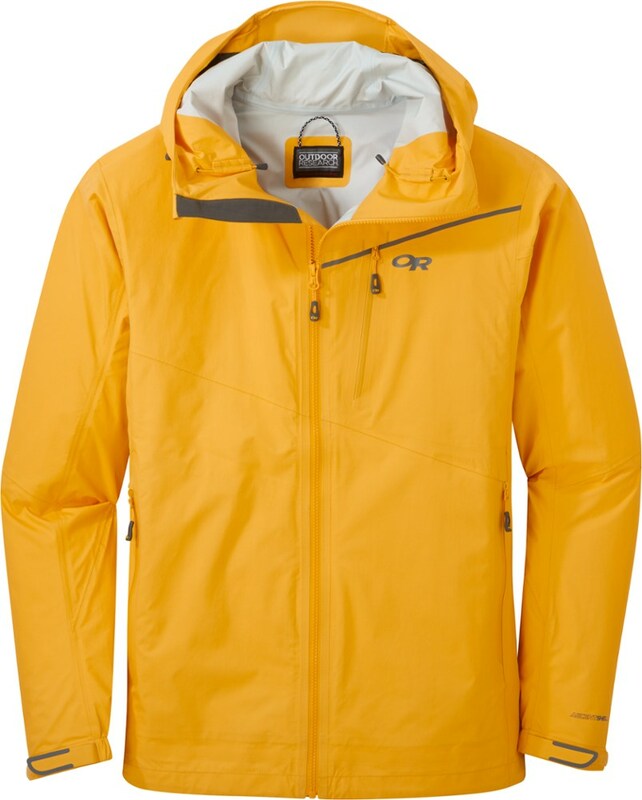 The Outdoor Research Interstellar Jacket is a three-layer hardshell jacket that uses OR’s new AscentShell membrane. 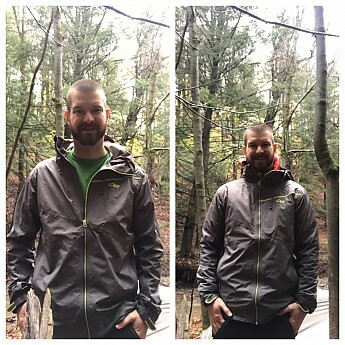 This is the most comfortable waterproof jacket I’ve ever tested and just further blurs the line of hard versus soft shell. 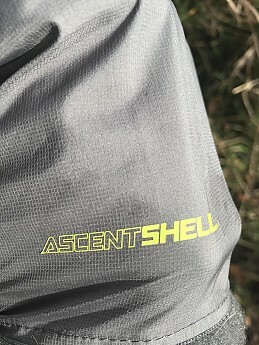 You get the breathability, comfort, and cost of a soft-shell and the waterproof, wind proof, and weight (or lack thereof) of a hard shell. 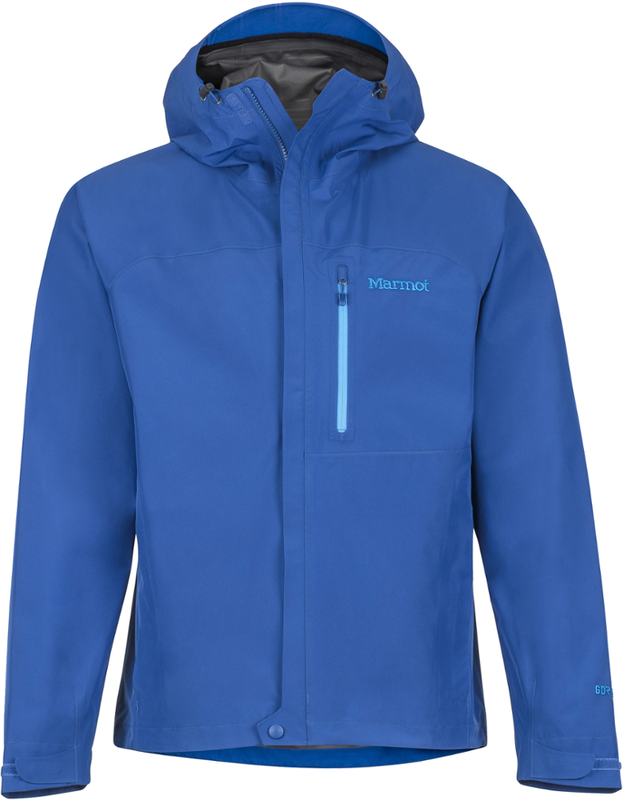 To further convince me, the price of this jacket is kept very reasonable at $300 (it's on sale on OR’s website right now for $180, crazy steal), by not using one of the name brand membranes. I’ve got only finicky room-for-improvement suggestions—the wrist straps are overly large and chunky, a better DWR needs to be applied, throw a two-way zip on for climbers, and OR has to get away from this ugly lemongrass (booger) colour. I absolutely love the fit and tailoring on this jacket. And there's a reason OR was able to pull it off this well, the mechanical stretch of the fabric. It allows the fit to be more form fitting (labelled as a “trim fit”) while also allowing for room for insulation layers underneath. For sizing reference I’m six foot and 175 pounds. I ordered a size large for testing (which would be my usual, preferred size). The Interstellar somehow finds that niche of comfort and fit, both with an insulated jacket or just a base layer underneath. The single best feature of this jacket has to be the next-to-skin comfort. The Interstellar uses a 12 denier polyester lining (20 denier nylon face fabric) that feels almost as comfortable as your favourite hoodie. 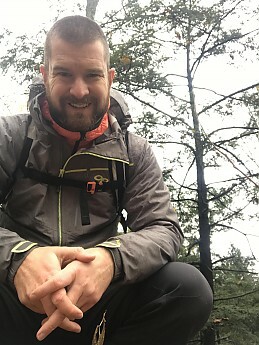 In fact this jacket kind of blurs the line between soft and hard shell even further—it protects you from the elements like a hardshell but has the comfort, breathability, and stretch of a soft-shell. The hem of the jacket extends below the waist and doesn’t ride up under a waist belt or harness. 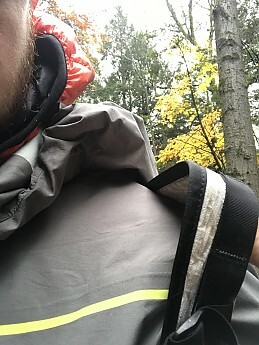 This excited me the most for use as a climbing jacket, especially ice. 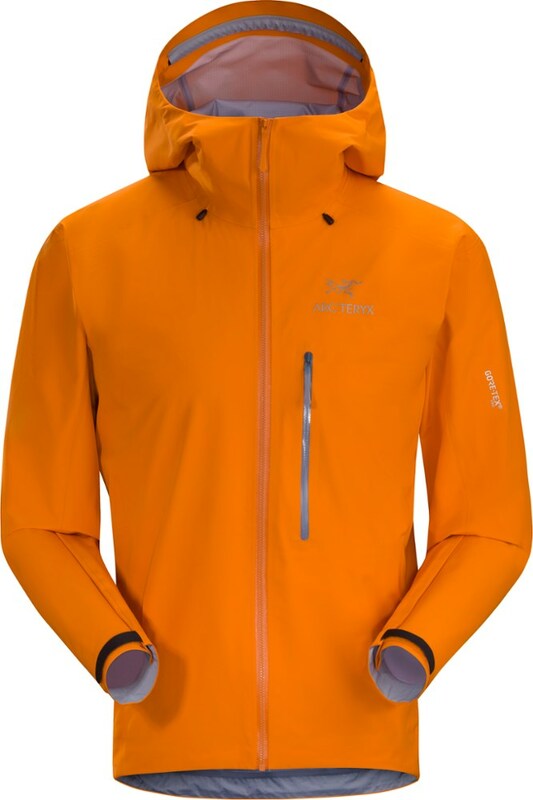 The breathability is fantastic (see more on that below) so the high exertion of climbing isn’t as big of an issue. 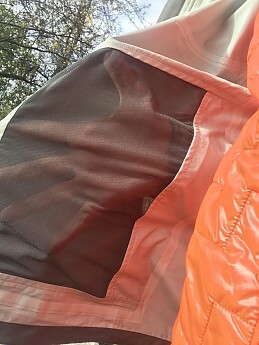 Usually climbing in any type of hardshell is a no-go for me, the combination of the lack of stretch and lack of breathability just make it not worth it. This potentially solves both those problems. The arm length is fantastic as well, and the underarm panels allow any reaching without pulling on the sleeves. 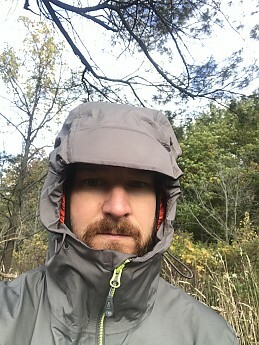 The Halo hood is (in my opinion) one of the best designed hoods, by any company. Equally comfortable with a toque, baseball cap, or helmet. 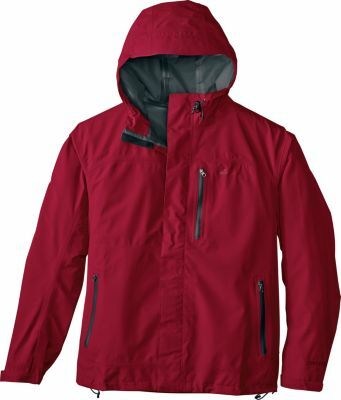 This allows you to bike or climb in the rain, pull the hood up over your helmet, and keep on rockin'. 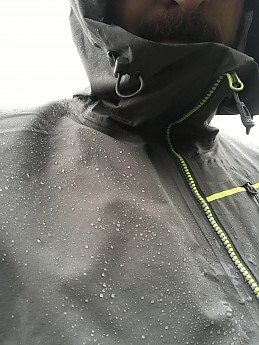 I do wish the brim came another half an inch or so out, as it currently drips down close to your face. It would be nice to able to turtle in a little more. 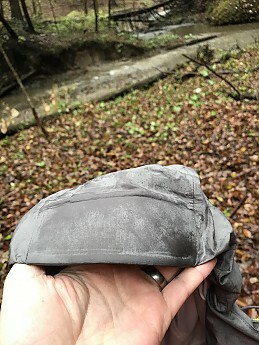 Stiffened brim to mold as you see fit (far too over looked and often altogether omitted from many other jackets). Another thing that contributes to the comfort is the soft hand feel and lack of noise. 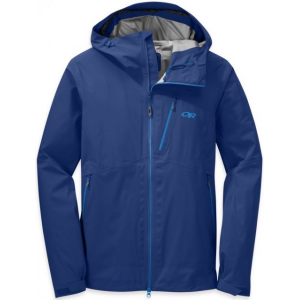 This jacket doesn’t have any of the traditional crunching we’ve come to expect from a hardshell. It behaves more like a natural fibre, like wool, so it’s far more inconspicuous. Waist: A standard bungee with a cord lock. Not much here to write about. You’ve probably used a similar one a thousand times. Time tested and still kickin. Hood: Two toggles on the sides to tighten down around the face, and one on the back to control the depth. A wire brim also allows for some fine-tuning when trying to maintain your vision. 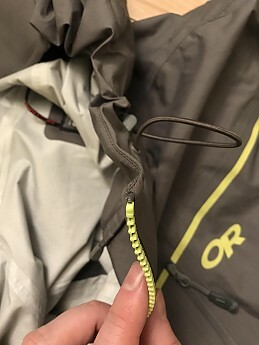 The side cord locks are on the outside of the jacket, while the excess cord loops back in and sits inside. 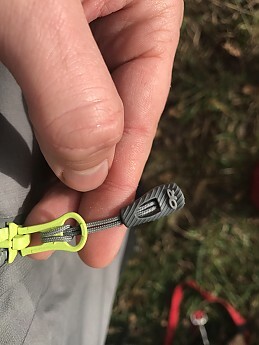 Awesome feature that doesn’t leave them dangling in your face, especially important when skiing or climbing. Wrist: The wrist adjustment has both Velcro and a built-in elastic. I love the elastic for simple things like tucking in glove cuffs or checking the time, without having to fully undo the Velcro. The straps for the hook and loop however are incredibly large and overly clunky. They are also very stiff and one of very few improvements that I think could be made to this jacket. 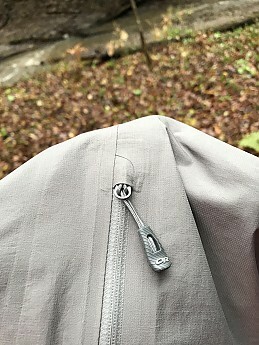 Zip: A YKK Aquaguard Vislon zipper is used (the best in the business), but I’d like to see it be a two-way zip for climbers. Let’s start with the good—the breathability is incredibly good. At 30,000g/m/24hr it is about as high as you are going to find. There are no pit zips so the air exchange has to be good. 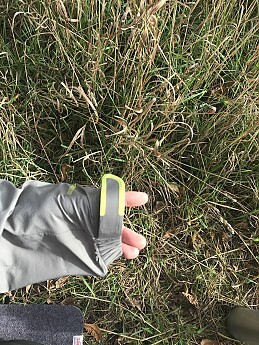 The three pockets (two hand warmer and one chest) are all mesh backed to assist in venting, but they also all run the risk of letting water in as well, and aren’t nearly as protected as an underarm vent in driving rain. That said I’ve never felt the need to open them. Now to the less than ideal. The DWR on this jacket wore out quick, like two months with minimal wear quick. The usual suspects were first to go—forearms, wrist, and shoulders (where it would wear off under a pack) before the rest of the body seemed to go. Water was not beading off this pretty early on (an easy fix to reapply and so many manufacturers make it stupid simple to do; if you can do a load of laundry you can reapply a DWR), but a higher quality DWR needs to be applied by OR. 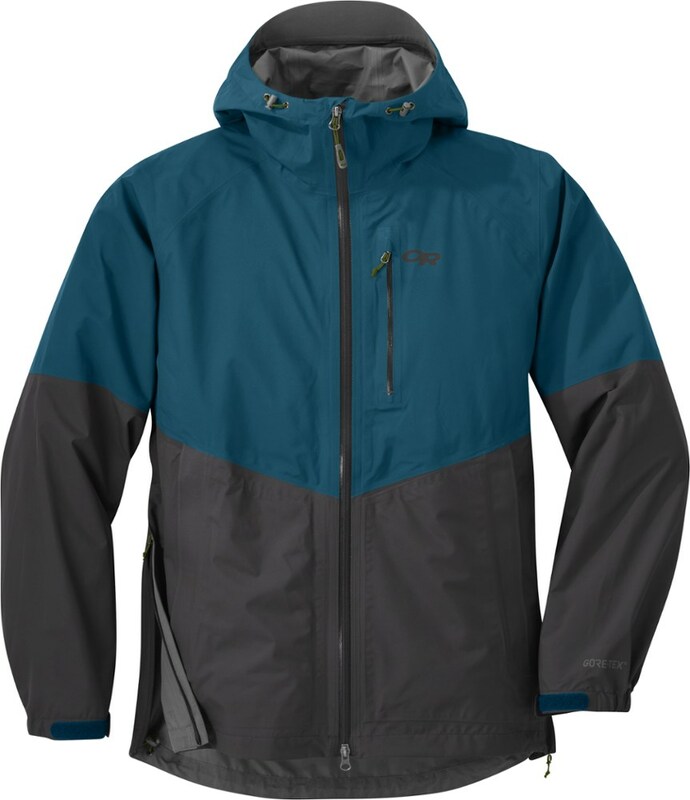 Should the jacket start to wet out you automatically start to lose the breathability that makes this jacket so special. The Interstellar never let water in, even throughout an 18-hour straight rainstorm (one in which 15mm of rain fell in an hour and a half period alone) so it can be relied upon in even the worst conditions, a snow certainly bounces right off. On its own the Interstellar isn’t incredibly warm, it can’t be and breathe as well as it does. I would say the most comparable garment would be a wind shell. 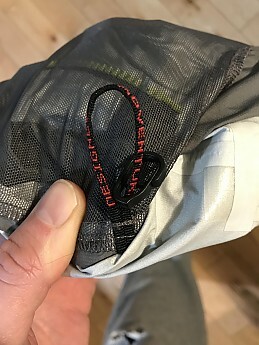 The Interstellar provides about the same warmth as a wind shell, at a minimal weight penalty, while providing ten times the water protection. Both breathe very well and eliminate any wind chill possibility, but the OR is also far more comfortable next to skin. 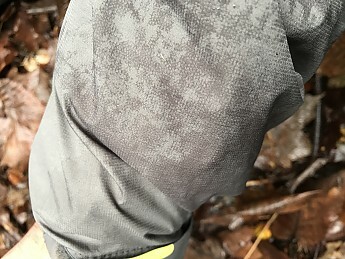 I’m not smart enough to fully understand the technology behind this, but I’ve used it enough in the field to know it's waterproof and breathable! I wouldn’t go actively seeking brush to run through, but I also don’t think this jacket needs any babying. I’ve done the occasional bushwhack while wearing it with no damage. 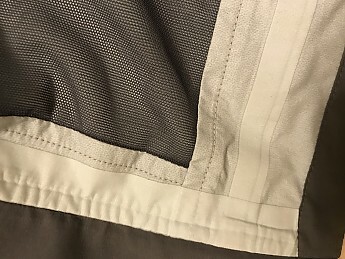 Pack straps have done no visible wear (although the DWR has worn, as mentioned above). 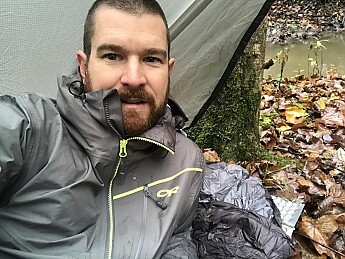 I think the real test will be over the winter when more things with points come out, the odd scrape with an ice axe, or a brush with a crampon while in my bag is inevitable. 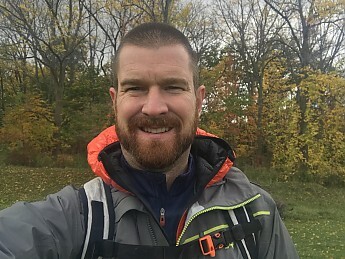 The jacket packs down tiny into the left hand pocket for storage in your backpack, or with the included mitten hook to clip to a harness. 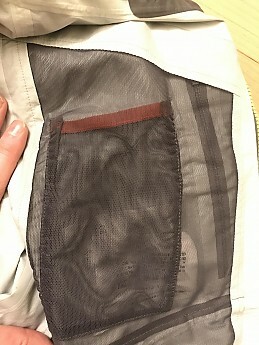 Inner pocket within the chest pocket, kind of handy for putting your cell phone in so it doesn’t bounce. Can be kind of difficult to get things in and out of though, so don’t use it for high use items. Keeping a bar from freezing solid, or the GPS that you only need to check occasionally. There’s no media port so that may be a negative for some. I’ve never used one of them on any jacket I’ve ever owned, so not a problem for me. Nice big zipper pulls work well even with gloves on. 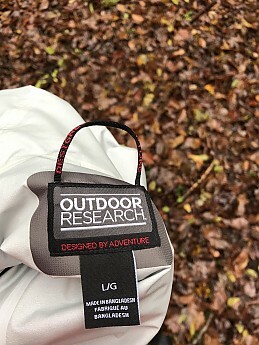 All stitching and seam tape is exactly what you’d expect from a company with the reputation of Outdoor Research, straight and clean. 11.6 oz for my men's size large. 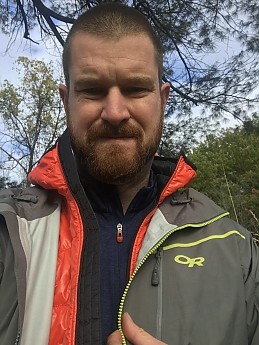 To my knowledge that is among of the lightest 3-layer jackets available (excluding the absurdly priced Dyneema Composite ones). I wish this were an option when I first started getting outdoors and building my clothing system. I feel it’s a very well rounded shell that will perform as well with insulation layers in the winter, as it does with little on in the summer. 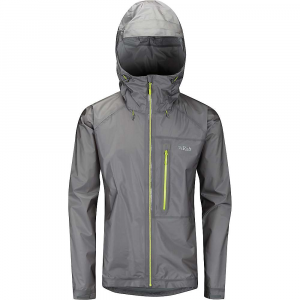 The breathability and weather resistance are both top of the charts and leave little room for improvement. Of the few negatives mentioned at the top, the only one I think is a necessary one is the need for a higher quality DWR. The others are very specific to what I’ve found I like/use after many years with wp/b jackets. 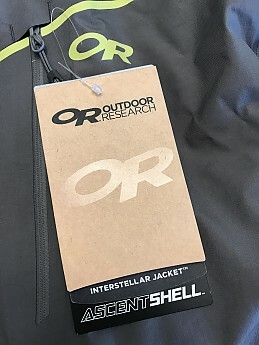 My thanks to both Trailspace and Outdoor Research for the opportunity to test the Interstellar Jacket! TESTING/TESTER: I am 6-foot tall, 175 lbs and received a size large. The Interstellar has been used for a period of four months (end of July to end of November) in temperatures ranging from 27 degrees Celsius to minus 12 Celsius. 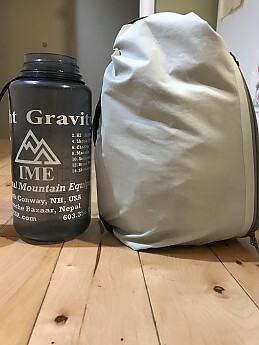 It has been used for everything from backpacking, day hiking, camping to climbing, biking, and just plain old walking the dog. Great review, Jake! I'll be curious to hear how it performs this winter.